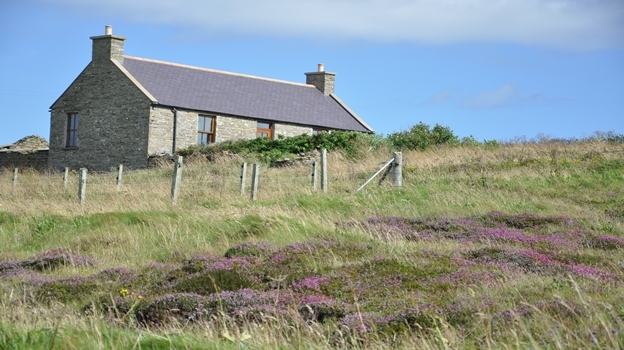 Cooperhouse is a traditional stone cottage in the parish of Birsay, West Mainland, Orkney. 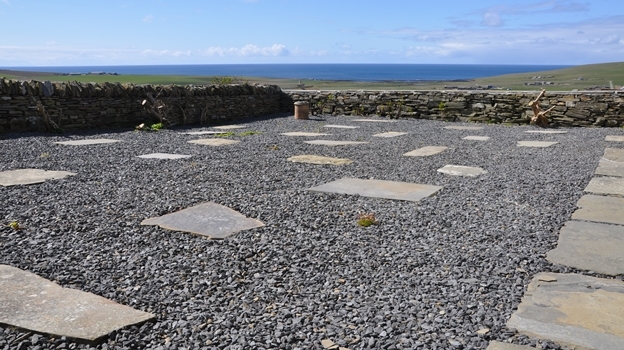 It is situated in an elevated position and has panoramic views of Marwick Bay, Kitchener’s Memorial, and the Brough of Birsay. 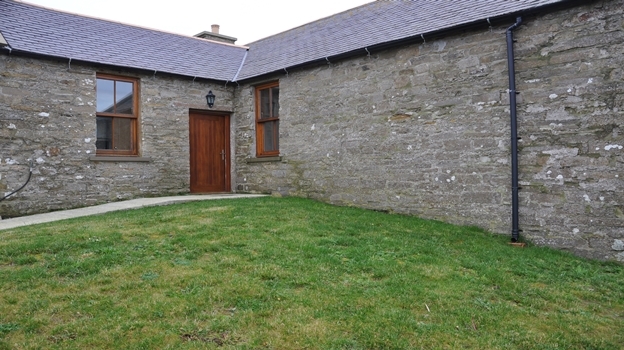 This attractive cottage has been recently renovated and consists of a large open plan kitchen / living room with a multifuel stove, two bedrooms and a bathroom. 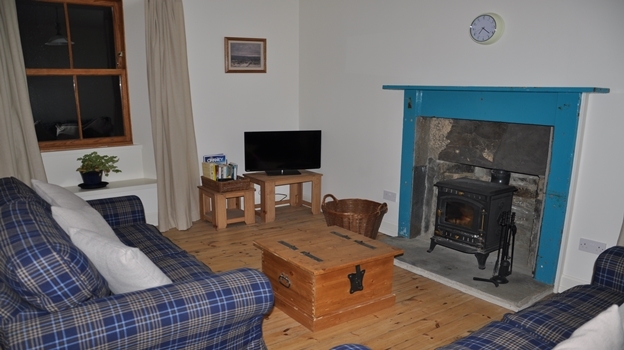 High ceilings throughout give a spacious feel to the cottage, which is heated by airsource and underfloor heating. Original floorboards and flagstones have been retained. 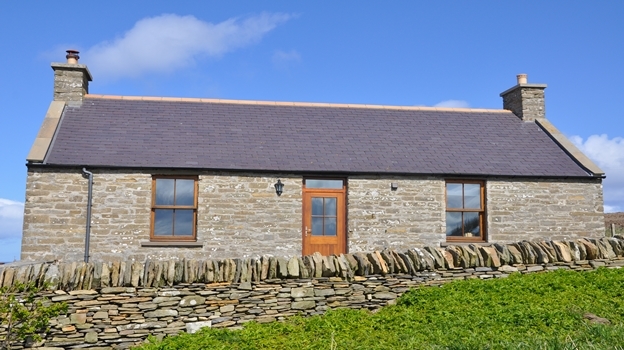 Cooperhouse is ideal for two people and comfortably sleeps four. 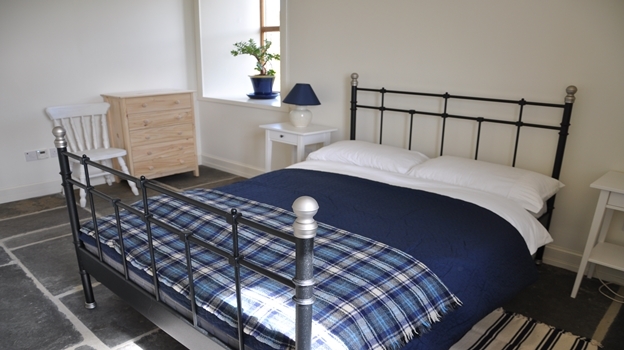 The main bedroom has a double bed, while the cosy second bedroom has a built-in boxed bed which sleeps two people; one in the box, one on top. The spacious bathroom has a bath with shower over, a feature white bowl sink on a slate countertop, a cupboard containing the washing machine, a drying rack with hoist, flagstones with underfloor heating, and heated towel rail. 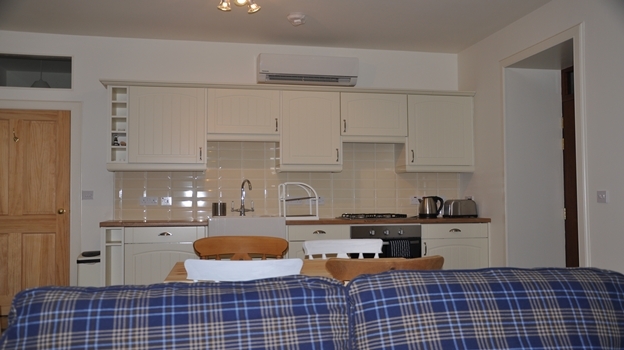 The fully equipped kitchen area includes a gas hob and electric oven, butler's sink, integrated fridge and dishwasher. 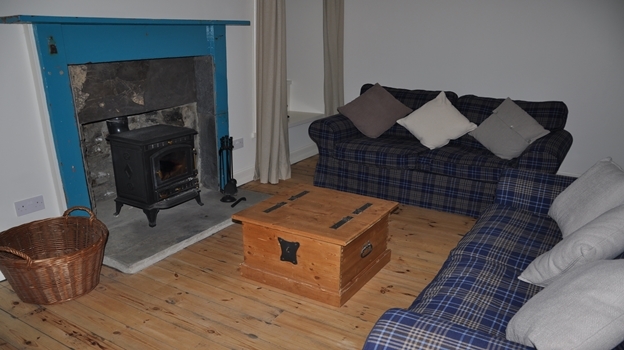 Two comfy sofas surround the fire so guests can relax after a day of sightseeing. Games, books and local information are provided, along with a flat screened TV and radio. There is also a landline for local and emergency calls, and Wifi. Guests are within reach of key visitor attractions, and whilst not remote, there is a sense of "getting away from it all" as the property is away from the road, up its own track. There is a parking space for several cars, a small south-facing walled garden and a grassed paddock. Adjacent are the ruins of a traditional longhouse and outbuildings. 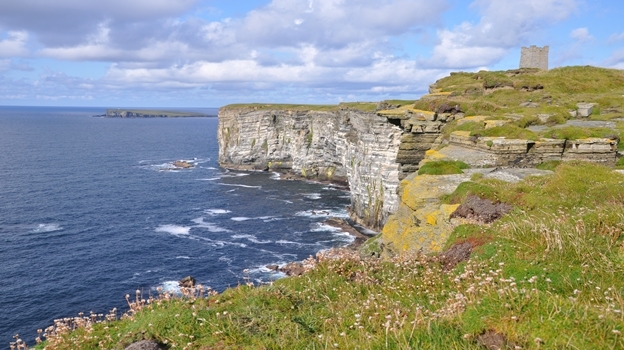 Walkers can enjoy coastal paths and breath-taking cliff top views as they watch the birds nesting on Marwick Head and photographers will find plenty to entertain themselves. Cooperhouse is ideally situated for exploring the archaeological sites that dominate West Mainland. 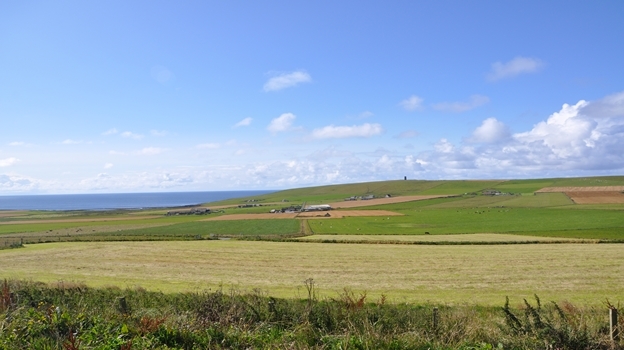 Situated 20 minutes north of Stromness and 30 minutes northwest of Kirkwall, the closest shop is only a five minute drive away, close to the Orkney Brewery where you can enjoy good local produce and try a range of ales. 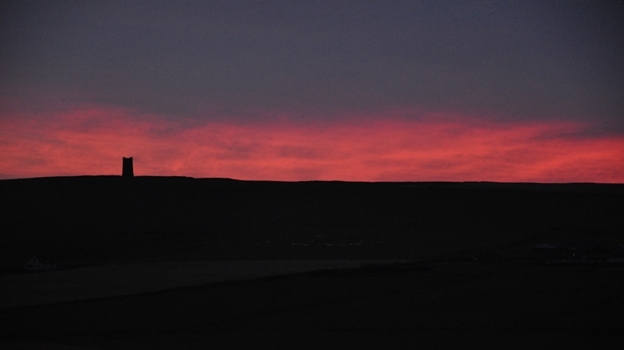 Come to Cooperhouse for a relaxing break, watching the birds, tidal changes and sunsets from the garden. 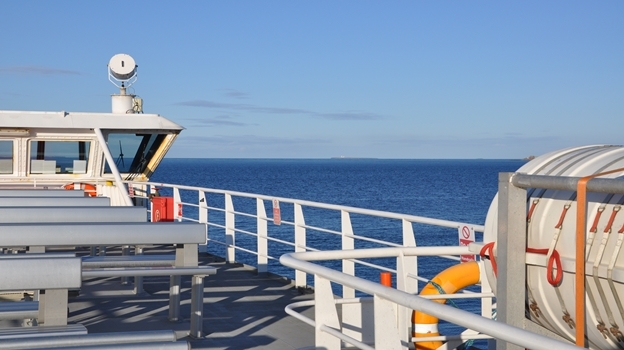 Alternatively, fill your days with walking, fishing, sailing, golf, photography, local events, visits to art galleries and craft workshops, live music and trips to spectacular archaeological sites. All linens provided free of charge.